Lovely salon and lovely staff always friendly and relaxed atmosphere. Always happy with my result too. My friends and I came here for our hair and make up done before a night out and we were all thrilled with what we had done!All the staff were lovely, even if you weren't their client they were chatting and asking what the occasion was,it was a lovely atmosphere and I would definitely recommend and go back again! I've been going to Jackie for some years now, I have never been as happy with my hair. Top Notch is a very professional Salon, nothing is to much trouble. I would highly recommend.???? They Really Are Top Notch! Such a friendly team with a lovely atmosphere in the salon - Jackie gives me lots of quality tips & tricks for my hair every time! Convenient parking also which is always a bonus :) it really is a Top Notch Service every time! Great salon in a convenient place, not far from the Trafford ctr. I had my hair styled here and I loved it! The staff are so friendly and attentive. I will definitely be going back! Jackie and the team are amazing, I Love my hair! 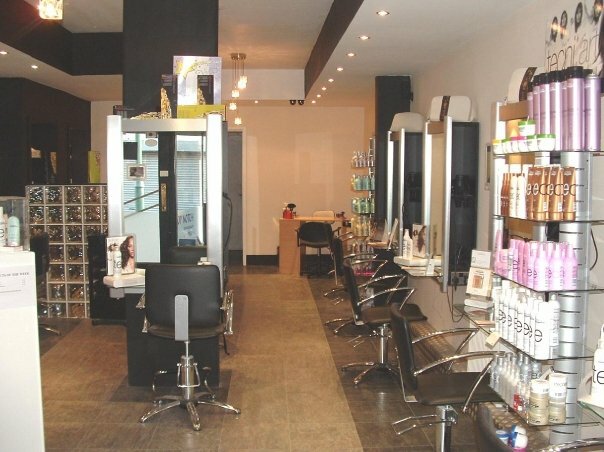 Situated a short distance from the Trafford Centre, Top Notch offers hair and beauty treatments using high quality products. I had a Lauren's Way Spray Tan there and was very impressed. I will definitely be going back!